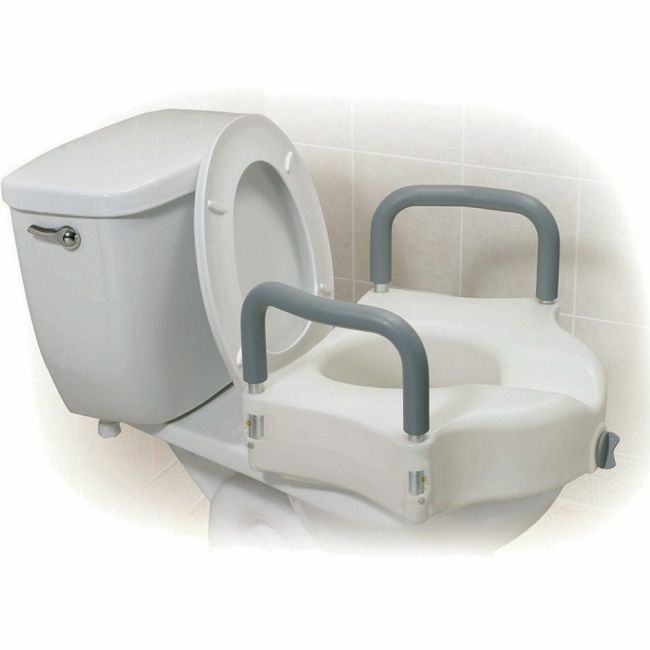 Use the toilet in comfort and stability using a raised toilet seat with removable arms. This raised toilet seat by Drive Medical ensures a safer and more secure fit than ever. The newly designed locking device is engineered to fit securely on almost any toilet. The elevated seat and padded arms will help individuals who need a boost sitting down or standing up from the toilet.